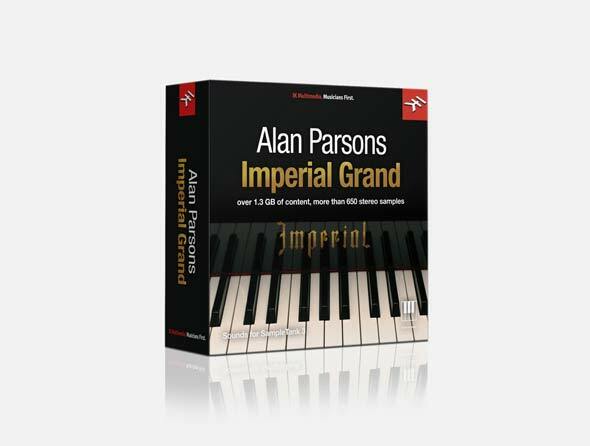 Alan Parsons Imperial Grand is a new SampleTank instrument that puts the authentic acoustic sound of a premier grand piano at your fingertips. It provides over a gigabyte of content with over 650 stereo samples covering 8 velocities per note. 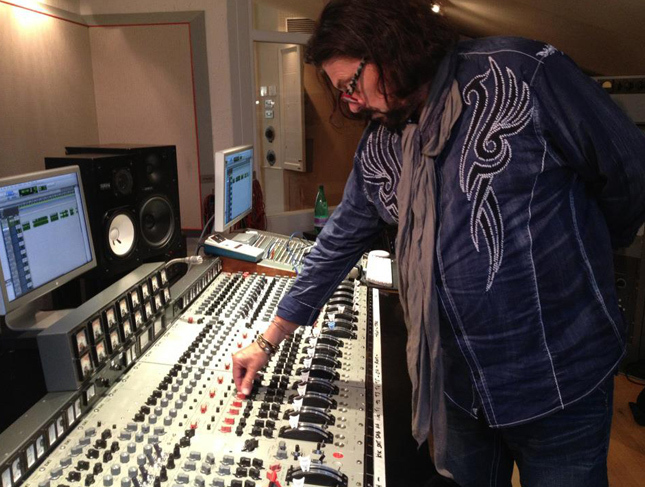 The samples used for this instrument were recorded by legendary producer-engineer Alan Parsons, known for his timeless work with Pink Floyd, the Beatles and of course The Alan Parsons Project. IK US founder and executive producer, Dave Kerzner, teamed up with Alan to sample a spectacular Bösendorfer® Model 290 grand piano at Mark Knopfler's British Grove Studios in London. To capture the essence of this dynamic instrument, Alan used AKG® C12 and Neumann® U67 valve microphones running through a classic EMI console that's similar to the one he used while working with The Beatles and Pink Floyd. 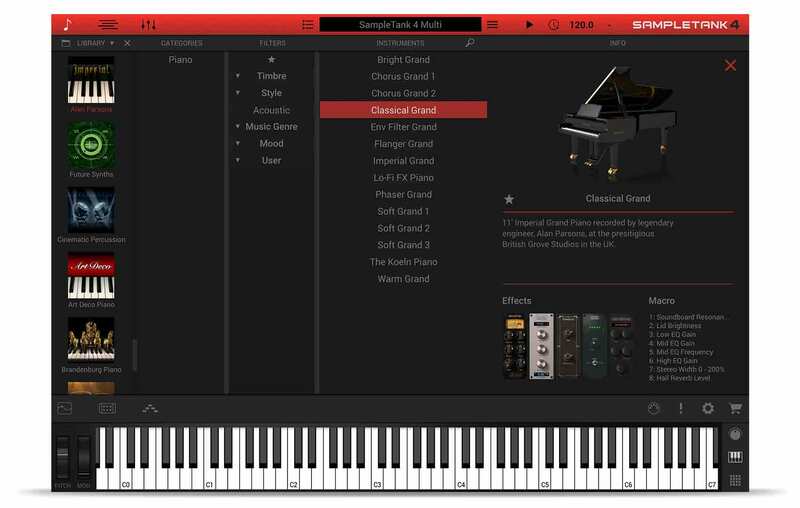 The specific piano and studio were chosen to provide a truly audiophile pairing of instrument and facility in order to create the finest virtual instrument possible, one that can traverse genres and sound amazing in any context. 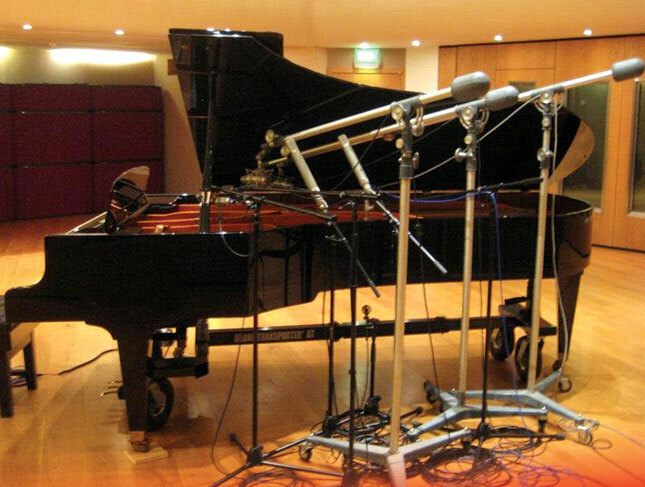 The piano samples were then obsessively voiced specifically for SampleTank 3 by IK’s international sound design team. We slaved away to find the perfect velocity split positions combined with carefully dialing in the ideal velocity response from the SampleTank 3 engine. SampleTank 3's Acoustic Resonance convolution effect provides ultra-realistic soundboard resonance so that when you press the sustain pedal, the harp resonates the way it should giving you the real-life experience of playing an acoustic grand piano. Each piano note has been meticulously sampled at 8 specific velocities to provide the most realistic playing experience possible. We've also omitted a few notes where necessary to ensure smooth key transitions and uniform tonality across the keyboard. Now you too can apply the powerful sound of the Alan Parsons Imperial Grand to your own musical projects. With the Alan Parsons Imperial Grand, you get a truly unique instrument with dramatic presence, unsurpassed power and real emotional depth. It’s perfect for pop, rock, classical, jazz and any style where you need a top-quality audiophile acoustic grand piano recorded by legendary engineer at a world-class studio.